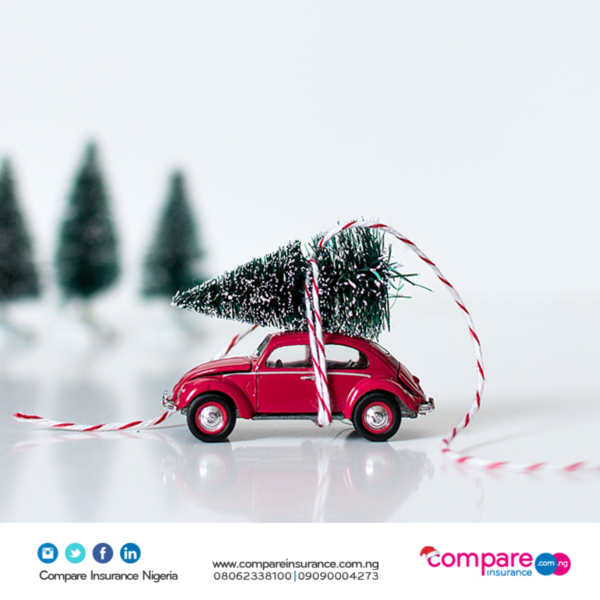 Are You Covered for Christmas? Christmas is finally here and it’s the season to be jolly! But with gifts to buy, homes to decorate and families to visit it’s no wonder that many of us feel a little flustered as the holiday sets in. Not to mention lurking at every corner are risks that threaten to steal the joy of yuletide, but there are things you can do to ensure your holiday goes undisturbed. So, read on! No one wants to be the victim of a mishap at Christmas, whether it’s at the hands of crime or unprecedented incidents or even very bad weather; this is why we’re bringing you these hints and tips, to help you stay on top of everything this Christmas and even into the new year, with an insurance cover. Christmas is the most wonderful time of the year and at the same time [unfortunately] a busy time for delinquents. According to police reports, the highest rate of break-ins and robberies are recorded during the festive seasons. So you need to be extra vigilant at this time, especially if you have loaded up your house with new gadgets, games, toys and clothing from your Black Friday shopping. And there is the possibility of fire risk that could break out from christmas lights, due to extra electricity load, paper decorations and seasonal candles. Make sure you get home insurance that covers you if anything happens to the extra goodies in your house during the joyous celebrations. Driving home for this Yuletide? If you’re a frequent road traveler then you’re probably no stranger to the chaos that accompanies road travel during this festive season and even if it’s your first time, it’s best to be prepared either way. It would be a sad thing to lose those precious gifts you’ve just bought in a car accident or theft as you go. 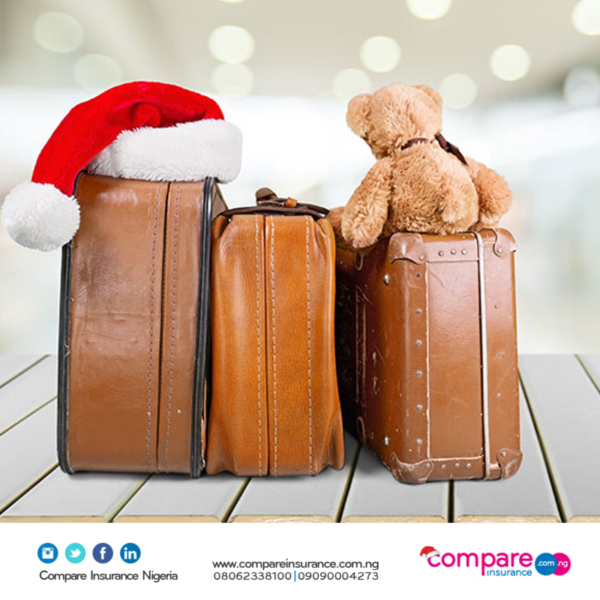 So, as you pack your bags and gifts to take home to your loved ones like the good old Santa Claus, secure your sleigh for any uncertainty that could erupt on the journey ahead with good motor insurance and don’t forget to fasten your seatbelt as you drive. Christmas is the season to be jolly and also the season for parties and feasts. While it’s a great time of year to catch-up with friends and family, all these activities can take a toll on our health, and not to mention- our waistlines. From snacks and treats to sumptuous food and drinks that you have indulged, just because they happen to be in front of you, just because the excitement of the season makes you eat, you could have a “full plate” to deal with healthwise. 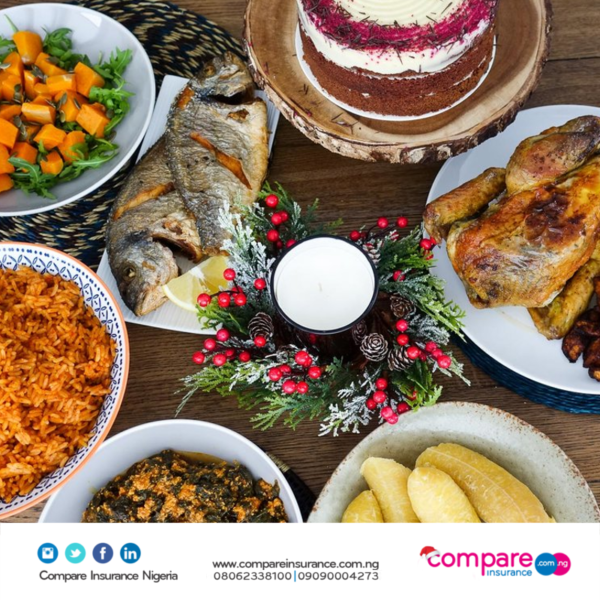 Let’s however, be honest; you can’t exactly deprive yourself this jolly season, so if you’re going to indulge in a binge spree of high-calorie treats, make sure you have a health insurance in place, to be prepared for aftereffects of your indulgence. Christmas is symbolic with gifts giving and receiving, but the truth is it’s also associated with the pressure of deciding which gifts to give, coupled with the fact that it might be a last minute decision. You could actually save yourself all that stress by opting to give something longer lasting to your loved ones like Life Insurance. Of course, life insurance may not be the right gift for everyone, but for those special to you, consider buying an insurance policy and maybe an education insurance policy [for the young ones] this holiday, thereby skipping the long checkout lines, shopping mall traffic, and give your loved-ones a present that beats the next iPhone in value. This special time of year is populous with traveling; whether you’re off to international shores to enjoy different climates, [escaping the current extreme heat/cold depending on which part of Nigeria you reside] or to indulge in a change of scenarios either alone or with loved ones, there’s no denying that this seasonal travel comes with its own set of risks. There’s could be bad weather disruptions, travel delays and luggage loss that can certainly dampen your festive cheer, and because you don’t want to be left stranded at Christmas, please protect your travel arrangements with a travel insurance plan. It will not only help you recover in the event of a disruption, but will also cover issues that could occur at your travel destination. 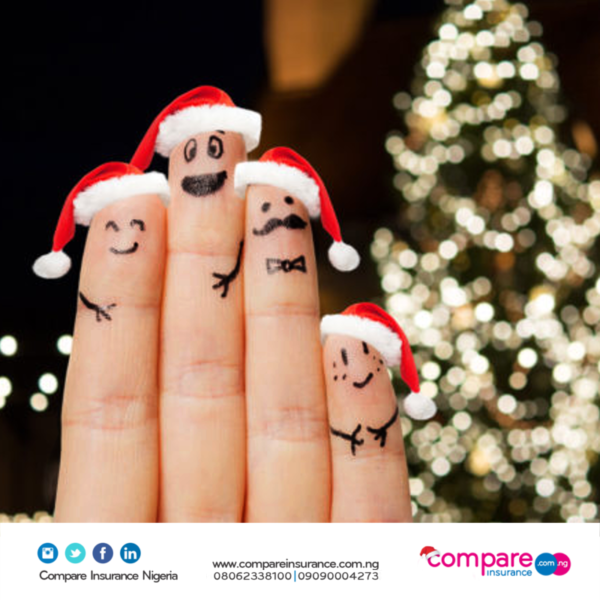 We just think that everyone should have an insurance plan for Christmas; i am sure even the good old Father Christmas himself has one. 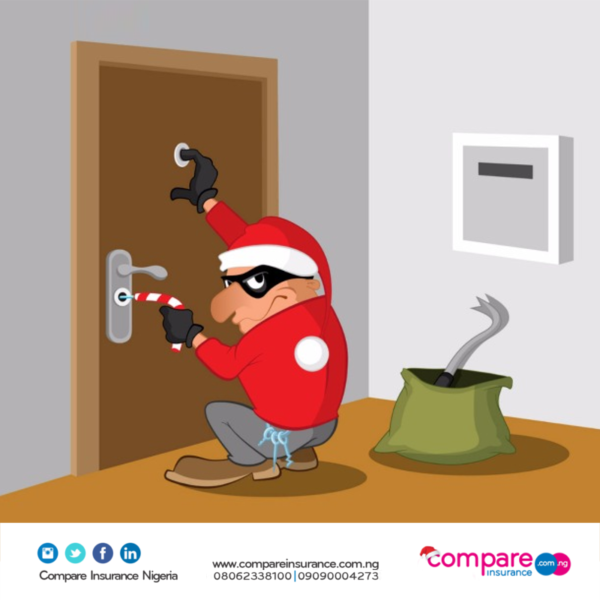 So, don’t be one of those who gets stuck with exorbitant medical bills, lose their property to theft and damage, mechanical bills for their “sleigh” because they neglected to buy motor insurance. It may not seem like a big deal when you’re in the comfort of your home, but it could be once you have to step out to enjoy the holiday. 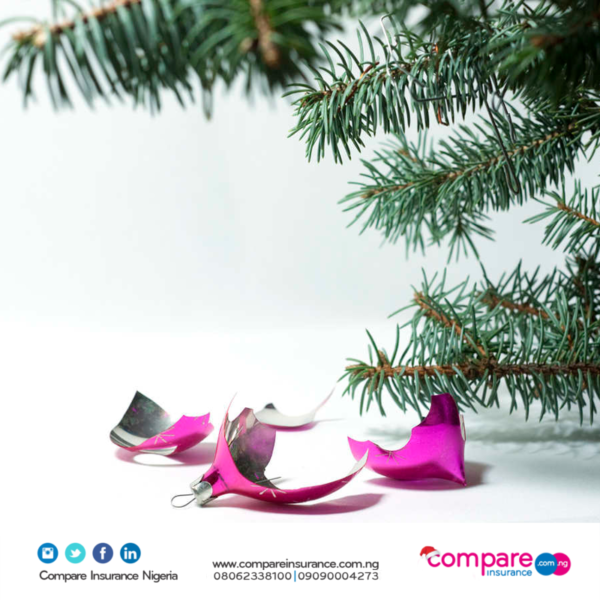 This article is provided by compareinsurance.com.ng, the online insurance portal for buying insurance from Nigeria’s most serious insurers in 3 simple steps…Kindly visit our website on www.compareinsurance.com.ng or call Sola on 09090004273 to get more information and help today.